Treacherous Records signee, NIQLE NUT, just unleashed 15 minutes of fire in the form of his new EP, "CiNQO. 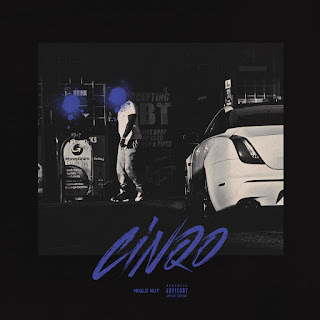 "Produced entirely by Keanu Beats, who put the wings under Migos' "What The Price", "CiNQO" is more evidence of what made Treacherous sign this talented street narrator to the label. With a nod to numerology, the EP's title highlights the significance of the number 5 in NIQLE NUT's life, from growing up on 115th Street in Inglewood, California, to being shot 5 times before deciding it was time to turn his life around and seriously pursue music. This is balls to the wall production over which NIQLE NUT's flow is a snappy and refreshing as ever. Definitely one for the playlists. Listen below.